Everything Shimmering & Golden | Be Kind. We're all in this together. 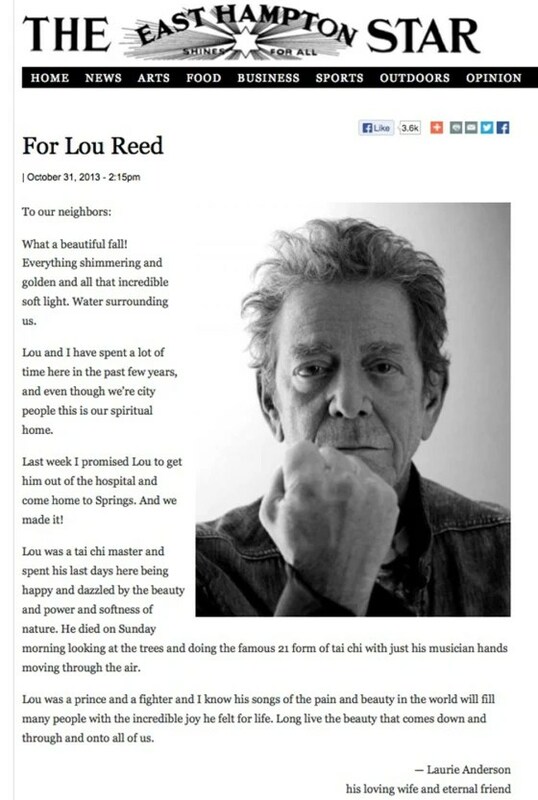 Laurie Anderson, the performance artist widow of Lou Reed, has written a touching eulogy for the late rocker that appeared Thursday in the East Hampton (N.Y.) Star newspaper. Lou died on Oct. 27 at age 71 of liver disease, which followed a liver transplant he received earlier in 2013. Reed and Anderson wed in 2008, and had been together since 1995. 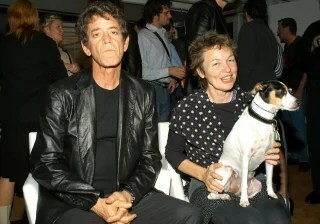 Lou Reed and Laurie Anderson in 2003. May Lou’s Spirit continue to soar. This entry was posted in Uncategorized and tagged Best Eulogy, Laurie Anderson, Lou Reed. Bookmark the permalink. May his Spirit continue to soar!